Hawke & Co. Gray Black. 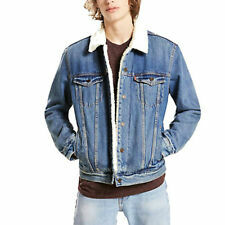 There are men's coats and jackets of many different styles and functions available, new and used, on eBay. This guide will take you through the various factors you need to consider when selecting these clothes. For what occasions can you choose a jacket? Informal: These clothes can be worn outside the workplace, generally in informal environments. They can be used to complement any outfit you have. You can pair them with T-shirts and jeans to create an elegant and relaxed look. Formal: Jackets are a very integral part of a business suit. Sports coats can be paired atop button-down shirts for a less formal, but still elegant, look. The color, pattern, and material should match the rest of your outfit to give it a formal look. Outerwear: Coats and jackets are often used as an external layer on top of clothing. What different fabrics make up coats? Wool: This is a natural fiber from the fleece of sheep. Wool jackets are warm and waterproof. They can be both outerwear or suit jackets, depending on the blend. Cotton: This natural fiber is light and plant-based. Cotton can be used for suit jackets and light outerwear. Silk: This high-end fiber is often used for designer suits and sport coats. 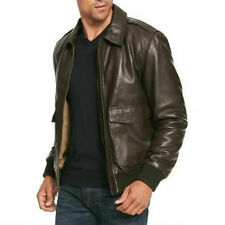 Leather: This is the classic material for biker jackets and other coats, though leather suits can also be found. 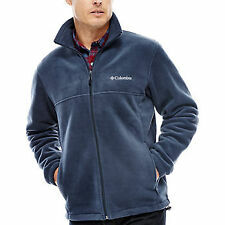 Fleece: This warm, water-wicking material is a common inner layer below waterproof coats and used in sporty outerwear. It is made from polypropylene. Down: Feather-filled jackets provide warmth in sub-zero temperatures. They are typically stuffed inside breathable fabrics that can release air when the feathers are compacted. Gore-Tex: This wicking, waterproof material will allow you to sweat and still keep dry from the rain. What embellishments do coats and jackets have? 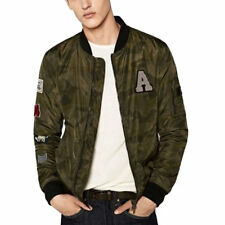 Depending on the purpose of the jacket, you can find a number of embellishments and closures. Zippers, snaps, and buttons: There are a number of closure options to choose from. Suit jackets tend to button while sportier jackets usually have zippers. Patches and emblems: Team jackets may have school mascot logos or sports team logos and team numbers. Embroidery: Team jackets may have names and player numbers on them. 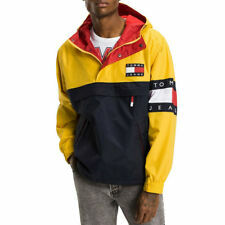 Other jackets may have embroidered brand logos. Lapels: Suit jackets are often categorized by the shape and cut of the lapels. Pockets: Storage options on coats will range from streamlined options in a suit coat to an abundance of pockets in a cargo coat. Specialized jackets, like bike jackets, have uniquely located pockets that allow you to keep items on your back, in easy reach, while you're bent over your handlebars. For all that he's done for you and the family, thank dad this Father's Day and shop for his favorites in coats and jackets and more.